We submitted our permit applications a few weeks ago, now it’s a waiting game! Here are the details of what we submitted, for curious minds. The site plan isn’t super easy to read because it’s so small (we obviously submitted a larger version to the county). 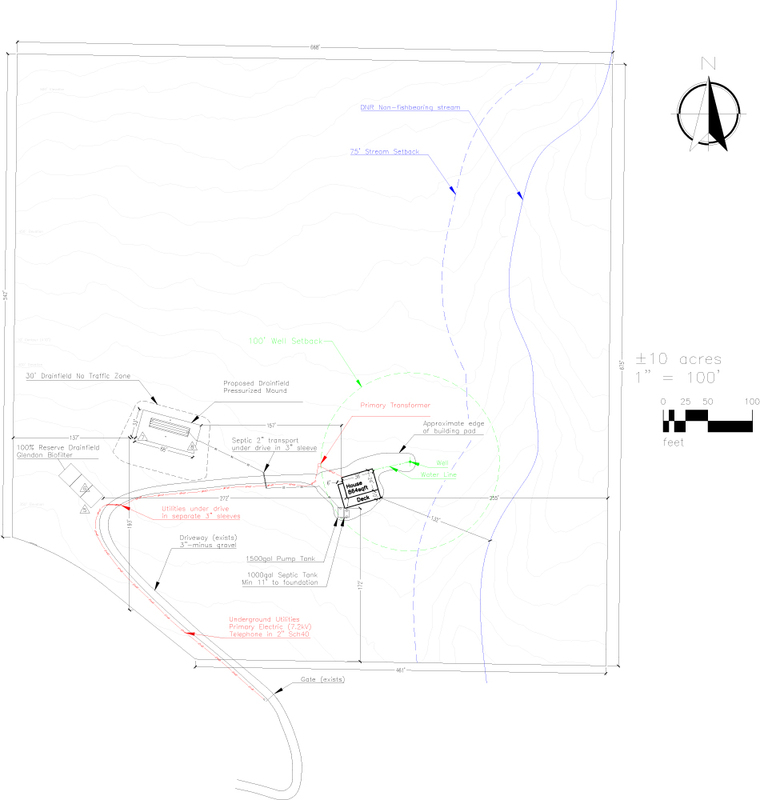 This is the entire property and where everything is planned to go. You can see the stream, well location, building, septic, and driveway. The rest of the property isn’t built up much, but we’l make trails and cool little places to hang out throughout the property. It will keep us busy for years to come. The exterior view of the cabin from the SE. The tall wall–the one with all the windows–and the deck are on the southern side of the building. The driveway and front door (not pictured) are on the western side of the building. The stairs you see in the image go towards the “side yard”. Right now it’s not much of a yard, but one day we’ll have a grassy area to hang out in addition to the deck. 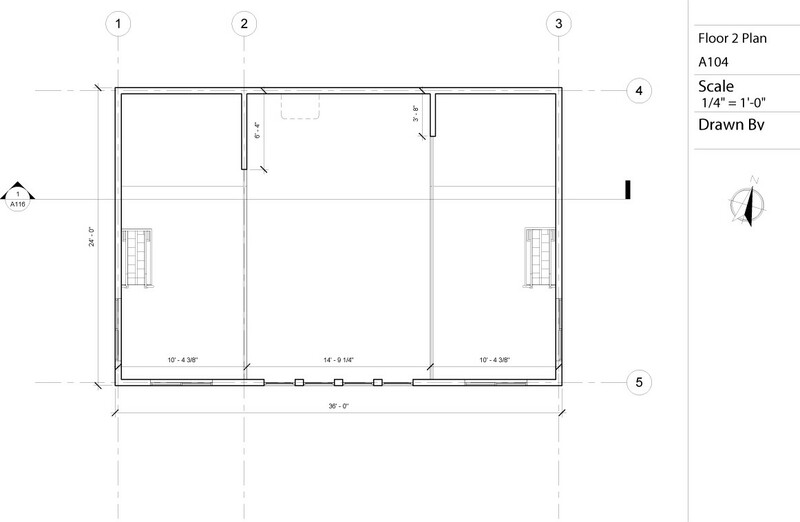 The building is 36′ x 24′ and the deck is 10′ wide. Plenty of place for a grill and patio furniture. 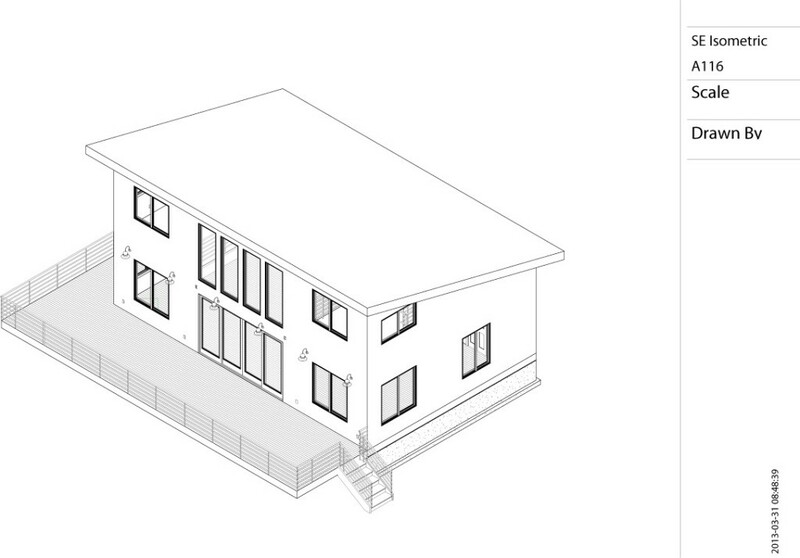 You can see the front door and entrance area on the first floor plan below. 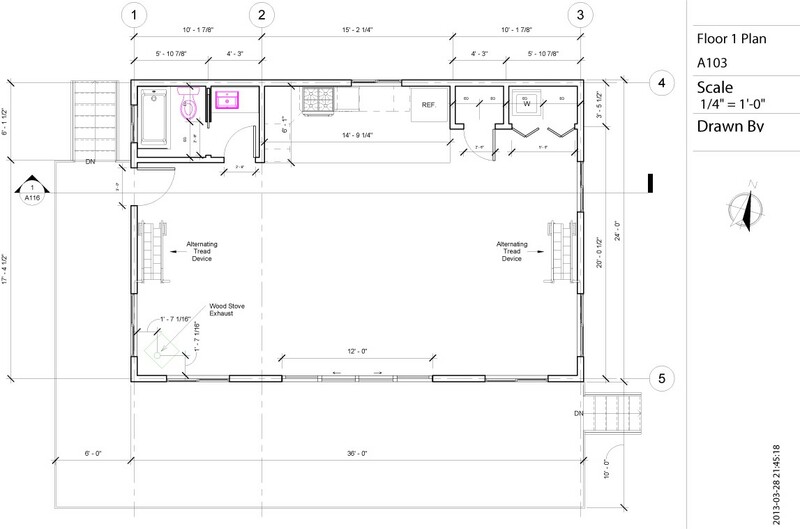 Just a simple, open floor plan with bathroom, kitchen, w/d, storage closet, and wood burning fire place. There are two lofts on either side of the building with alternating tread stairs to get to each of them. This entry was posted in Uncategorized on April 20, 2013 by kelly. More info coming soon, but a HUGE step toward finalizing the cabin! This entry was posted in Uncategorized on April 3, 2013 by kelly.